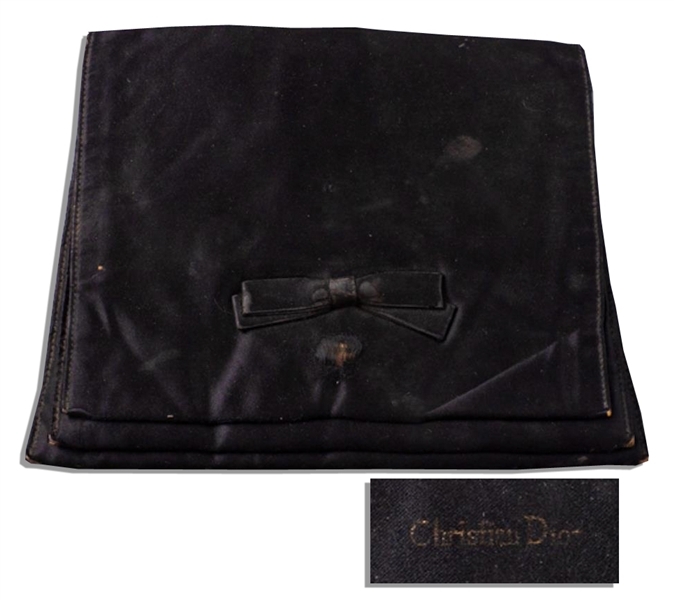 Jackie Kennedy's black satin Dior clutch. Elegant evening bag features a subtly trapezoidal form decorated with a bow on the front flap and ''Christian Dior'' in gilt lettering. Interior has four compartments and exterior has one. 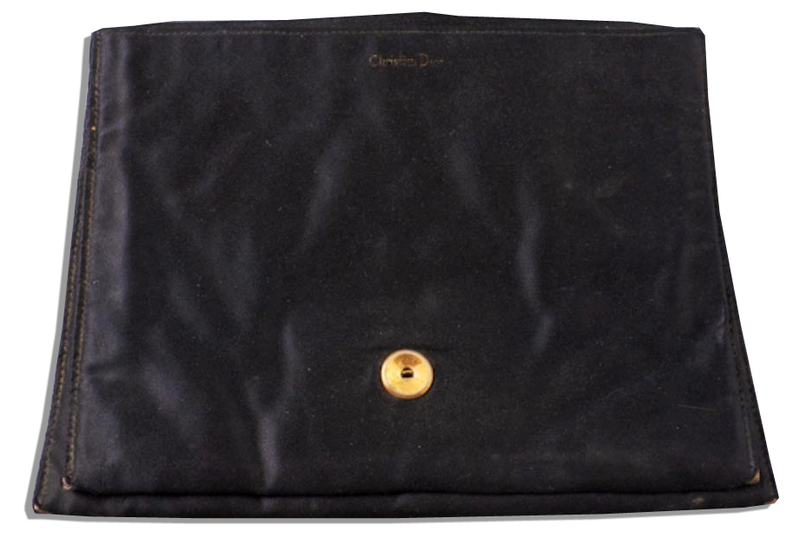 Measures 9'' x 7.25''. 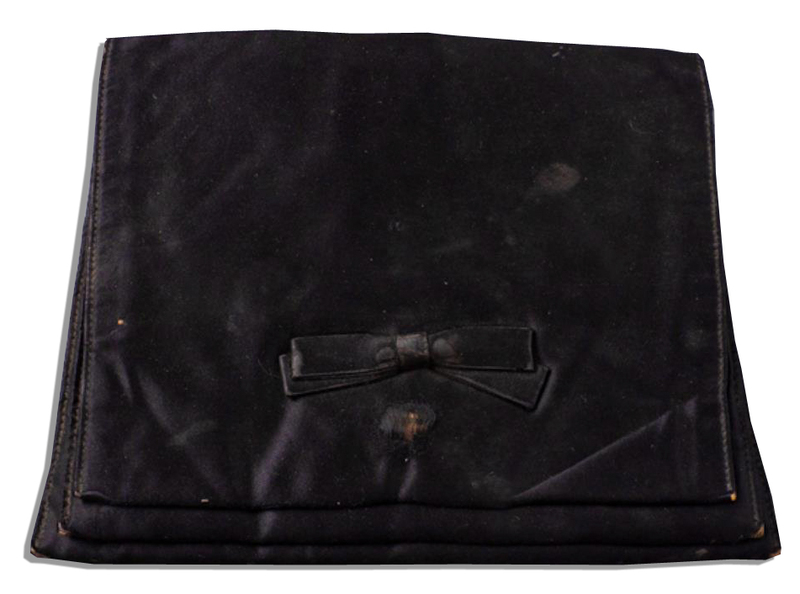 Wear to fabric near the bow and on the corners, else near fine. 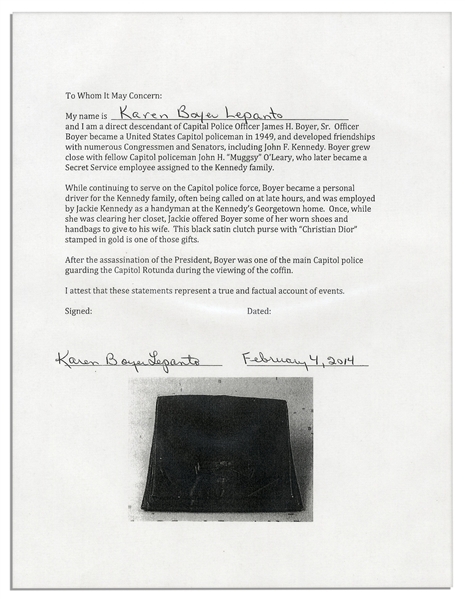 Provenance from the family of James H. Boyer, Sr., U.S. Capitol Police Officer and chauffeur to the Kennedys.